One philosophical approach to causation sees counterfactual dependence as the key to the explanation of causal facts: for example, events c (the cause) and e (the effect) both occur, but had c not occurred, e would not have occurred either. The counterfactual analysis of causation became a focus of philosophical debate after the 1973 publication of the late David Lewis's groundbreaking paper, "Causation," which argues against the previously accepted "regularity" analysis and in favor of what he called the "promising alternative" of the counterfactual analysis. 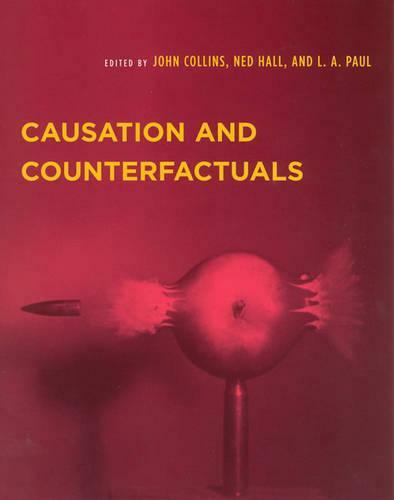 Thirty years after Lewis's paper, this book brings together some of the most important recent work connecting-or, in some cases, disputing the connection between-counterfactuals and causation, including the complete version of Lewis's Whitehead lectures, "Causation as Influence," a major reworking of his original paper. Also included is a more recent essay by Lewis, "Void and Object," on causation by omission. Several of the essays first appeared in a special issue of the Journal of Philosophy, but most, including the unabridged version of "Causation as Influence," are published for the first time or in updated forms. Other topics considered include the "trumping" of one event over another in determining causation; de facto dependence; challenges to the transitivity of causation; the possibility that entities other than events are the fundamental causal relata; the distinction between dependence and production in accounts of causation; the distinction between causation and causal explanation; the context-dependence of causation; probabilistic analyses of causation; and a singularist theory of causation.